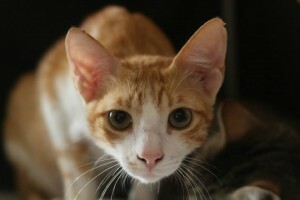 Story: Robyn came with a few small wounds on his head, hungry and quite noisy, now he is a happy, loving kitten. He has a number of cool tricks like shaking hands and high fiving! He demands lots of attention and really deserves home who will give as much love to him as he gives to them.